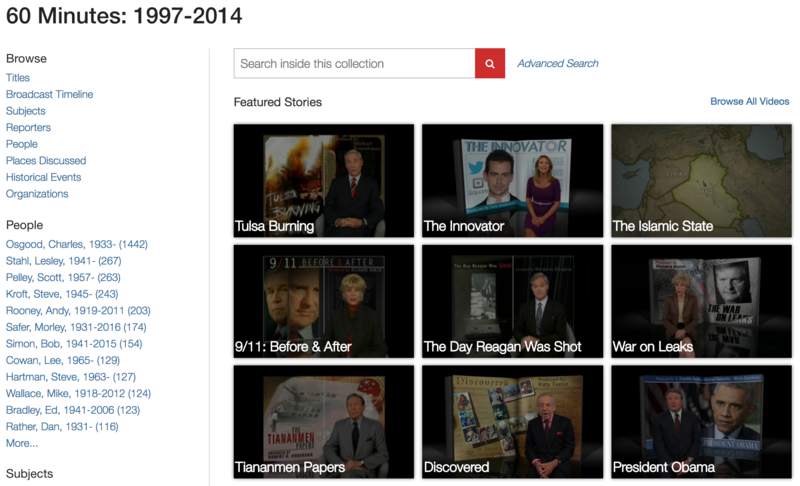 For the first time ever, nearly two decades of television’s most preeminent program are available online in one expansive streaming video resource. The 60 MINUTES: 1997–2014 collection from Alexander Street Press grants unprecedented access to the CBS News archives from this period, including many episodes not widely seen since their original broadcast. This entire collection is only available from Alexander Street Press for the academic market. 60 MINUTES is one of the most successful television programs in American history. On top of more than 100 Emmy wins and 20 Peabody Awards, it holds the record for the longest continuously running primetime program in the history of television. With as many as 25 million viewers tuning in for its Sunday night broadcasts, 60 MINUTES remains among the most respected, influential TV journalism programs in the world. This resource also includes 175 hours of bonus segments from the popular CBS News program Sunday Morning, whose timely news pieces, cultural features, and newsmaker profiles form an ideal complement to 60 MINUTES content. The addition of this bonus programming brings the collection to a total of 525 hours of high-quality CBS News content.